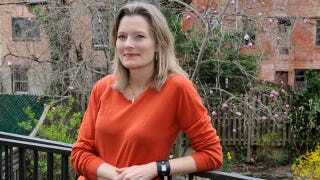 Jennifer Egan just won the Pulitzer Prize for her novel, A Visit From the Goon Squad. She is a woman. In an interview, she said some things about other women. Which can only mean one thing: catfight! What I want to see is young, ambitious writers. And there are tons of them. Look at "The Tiger's Wife." There was that scandal with the Harvard student who was found to have plagiarized. But she had plagiarized very derivative, banal stuff. This is your big first move? These are your models? [W]hat would provoke someone to employ a forum that should be all about her to trample on the reputations of her fellow women writers? Is it part of what Debby Edelstein calls PhD syndrome –- Pull Her Down syndrome? This is a learned behaviour on the part of certain women to be unable to resist any opportunity to pull other women down. Is Egan, in short, guilty of a girl-on-girl crime? Or is it the age-old jealousy of the literary fiction writer for the phenomenal sales of the commercial fiction writer? If so, it has backfired in a big way as many online commenters have vowed to boycott her books till the end of time. It's a good thing these commenters are passing along the Egan boycott to their descendants, because there's definitely nothing more important they could be talking about. In all seriousness, I think it's a shame that publishers, marketers, and the press draw such a bright line between literary fiction and chick lit, and that commercial fiction by women is often taken less seriously than comparable commercial fiction by men. I think gender divisions — these books are "for women," these are "for men" — are a problem on both the commercial and the literary side (and the fact that there are two such sides is itself a problem). But none of this should stop an individual writer from having an opinion on which books are banal and which worth reading. It's time for us to quit freaking out and just let female writers have debates, the way male writers do.